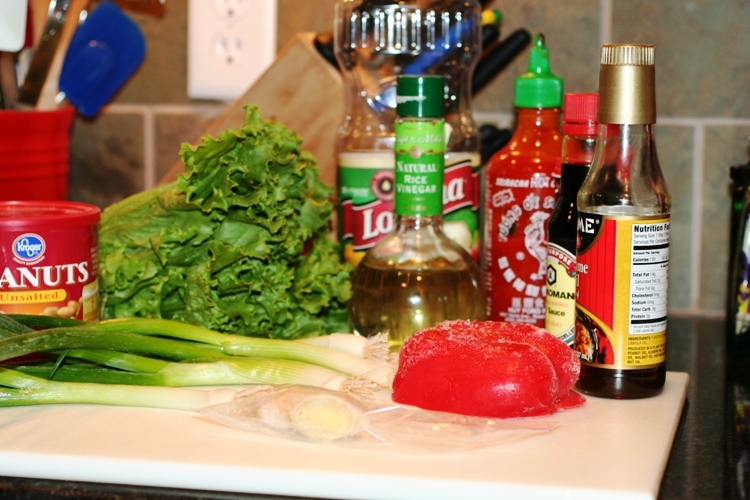 I did this recipe last year, but I decided to give it a facelift and modify the ingredients a little to fit our current tastes and what I have on hand. Now, in full disclosure, I keep lots of oriental staples on hand, so if you find them on sale, they are great to stock up on! If you don’t have any of these, it might get a little pricey to start your pantry off with them. But, most of these last forever and a little goes a long way! Tip: I purchase fresh ginger root and peel it all, I only use what I need and freeze the rest for later. 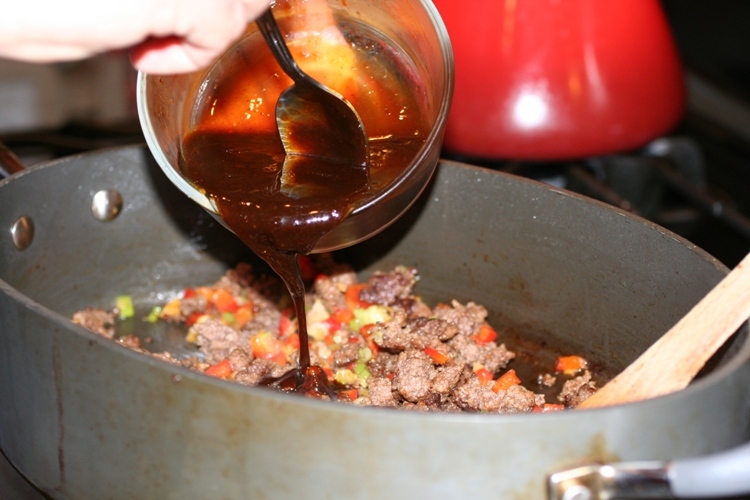 In a bowl, whisk together chili-garlic sauce, sesame oil, soy sauce, hoisin sauce, and vinegar. Dice peppers, ginger and scallions. Brown ground beef and drain. 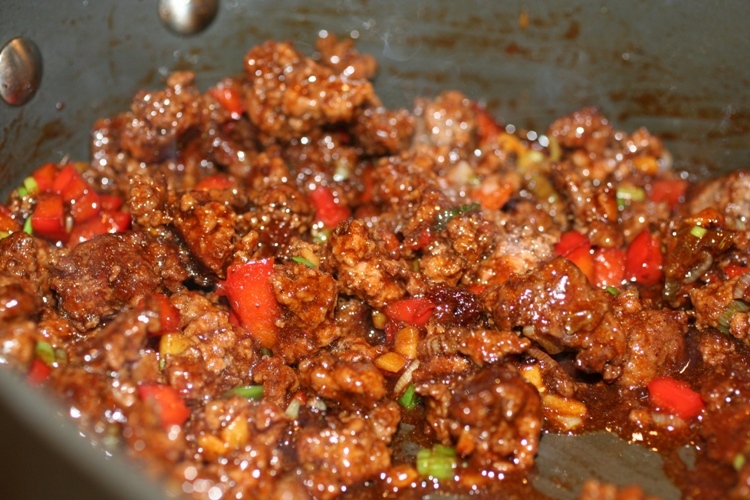 Then add the ginger, red peppers and scallion whites and cook until scallion whites are translucent and ginger is fragrant, about 2 to 3 minutes. Add reserved sauce. 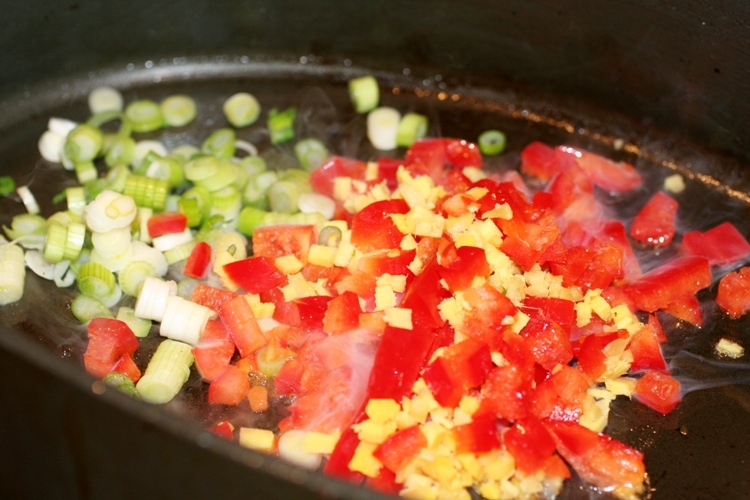 Reduce heat to a simmer and cook, stirring, an additional 3 to 4 minutes. 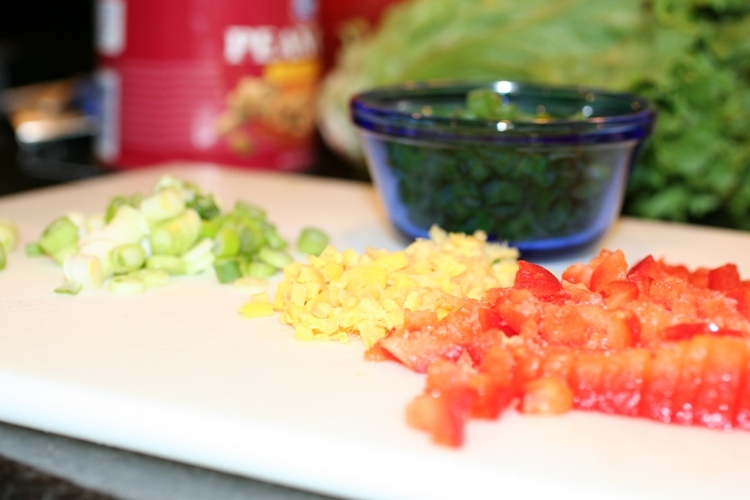 Fill each lettuce leaf with the filling. 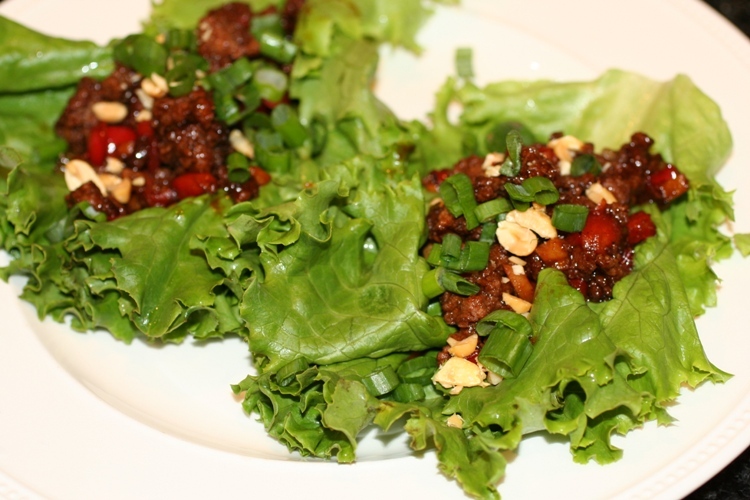 Serve garnished with scallion greens and peanuts.